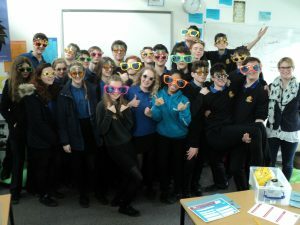 Following funding from the Department of Education, the Character Education in the East Devon Secondary School Partnership delivered a 12-month Character Education project across five secondary schools in the east of Devon. One of their main aims was to improve emotional health and wellbeing outcomes for learners. 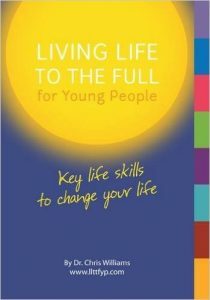 Clinical Psychologists from the University of Exeter delivered our 8 week Living Life to the Full for Young People programme for all staff across the partnership. The purpose was to ensure that staff were aware of the content and purpose of the materials, so that they could recommend them to appropriate students as required. In addition, up to eight individuals from each school received one and half days’ in depth training from one of LLTTF’s trainers and psychologists from the University of Exeter, on the content of the course and how to deliver it. Following this the University of Exeter then supported each school by co-delivering it with staff members to the first cohort at each school. Measurement data from 283 pupils showed that overall well-being increased to a statistically significant degree after participating in the programme, seeing most of the different in the students who already had lower wellbeing scores. Qualitative feedback was in the main positive with students noting it would help in a variety of settings, helped them to get active and to learn to control negative responses that might get them into trouble. All schools intend to continue using LLTTF for Young People, and will look to use these materials more widely across all year groups from September.